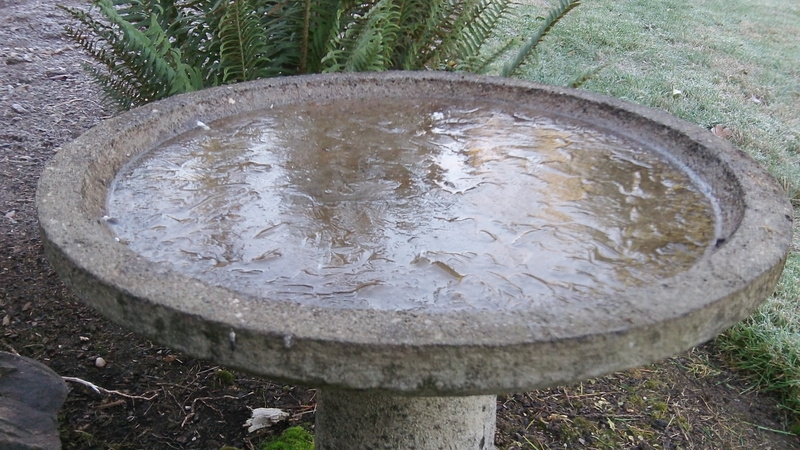 The bird bath in our yard froze over this morning, pretty much right on schedule. Meanwhile, in the world of politics, the hot air continues to billow forth about global warming and the steps we must take to slow it down. In the local paper, the AP reports on the governors of Oregon, California and Washington and the premier of British Columbia meeting in San Francisco. They “committed,” the story said, to work together and coordinate efforts to take certain steps. What those steps are was not clear, which is understandable, considering that these politicians really cannot commit their respective legislatures to do anything. “States, province join to combat climate change,” the headline said. Considering that climate change is a natural process that has taken place since the Earth was formed, you’d think they could find a more immediate concern to combat, especially if it was one that state governments could actually do something about.